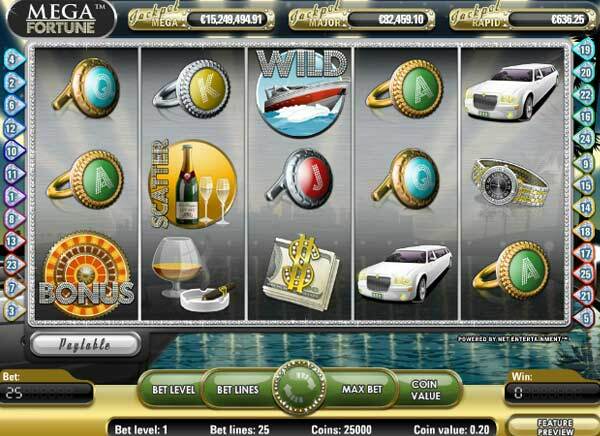 The very lates online video slots from Playtech are reviewed right here, get the latest news and information about slots. 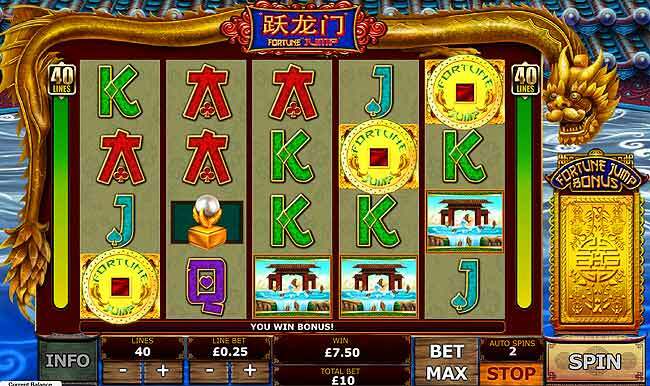 This new game from Playtech follows the redurgence of eastern, oriental themed casino games that hace become very popular. I am not 100% sure why this them is such a big hit, maybe the casinos want more Chinese, Japanese, Thai, Malaysian etc. players, or perhaps these style of games just come across as lucky!! 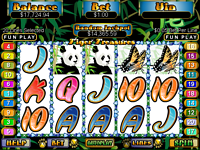 This video slot has a massive 40 paylines on a five spinning reels format, to cater for extra paylines the playing reels each display four symbols instead of the usual three. The symbols are all oriental and consist of the J, Q, K and A and several other temples, waves, and character symbols. There is of course the WILD symbol and the great bonus SCATTER symbol represented by the FORTUNE JUMP disc. 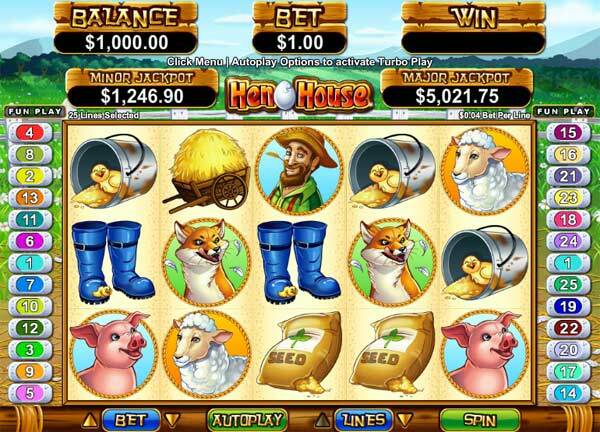 During normal game play you spin the reels and get matching symbols appearing condecustively on an active payline (from left to right) for a payout. During normal game play there is also a mini feature that is triggered when you get a 4 of a kind win. 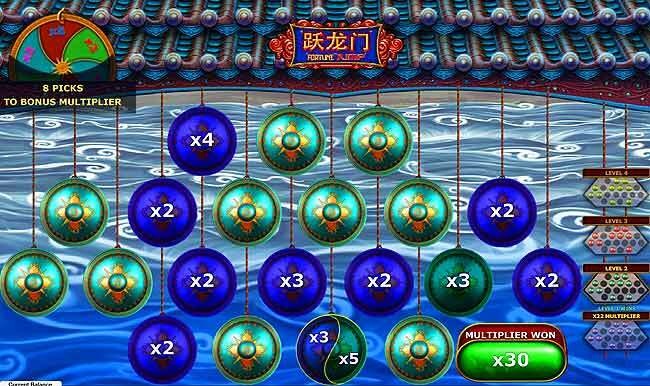 The FOUR OF A KIND win will trigger the Fortune Jump bonus and card will spin and appear on the right of the reels. This card will contain two symbols. 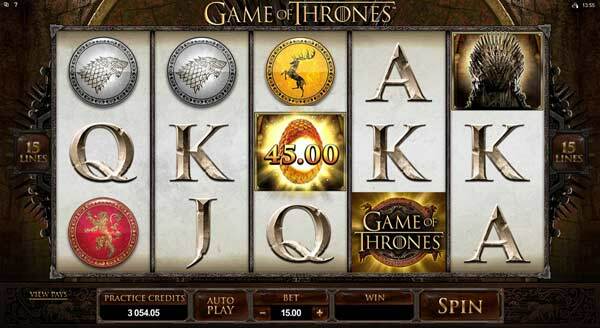 Any symbols you have on the reels that match the top symbol on the card will jump (switch) to become the bottom symbol, this can give more winnings which are added to the initial spin win. When you spin 3 or more of the scatter logo symbols you enter the full bonus game. Here you get to choose discs, behind each disc is a MULTIPLIER, UPGRADE or COLLECT. 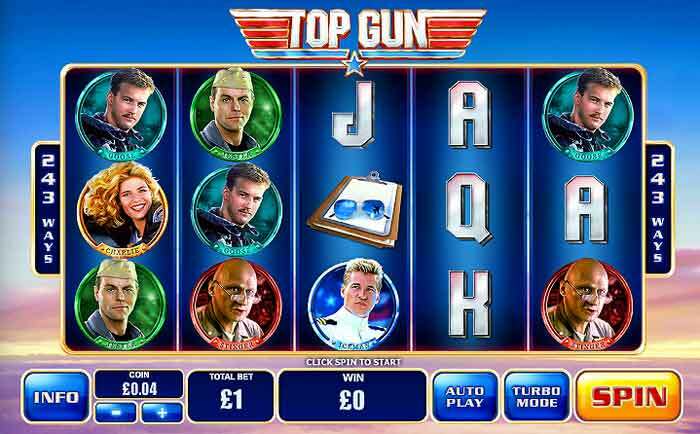 You start at level 1 and pick a disc to get your multiplier. Keep picking and moving up levels until you receive a COLLECT token or you complete the picks. 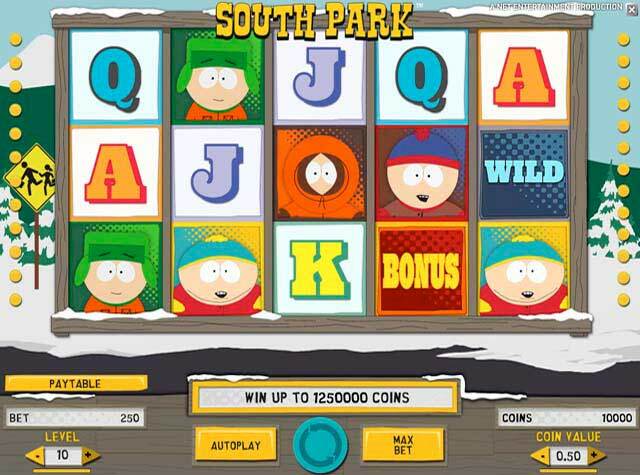 When the collect appears you are awarded an instant cash win according to your multiplier - i.e. 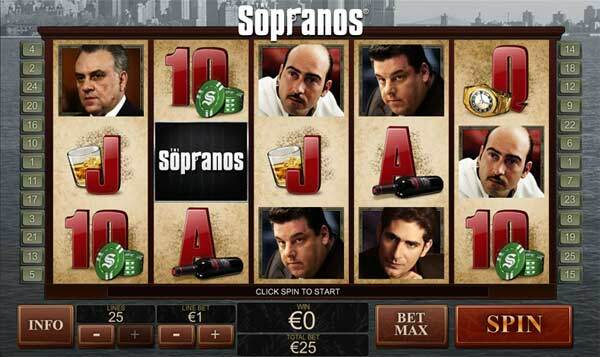 30x your total bet. If you complete all 18 disc picks you will get the chance to spin the FORTUNE WHEEL. 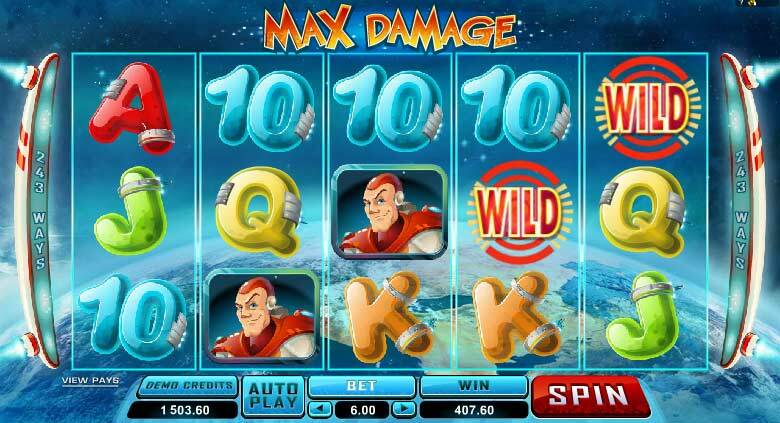 This gives a bonus multiplier to multiply your pick multipliers, mega awesome!! !